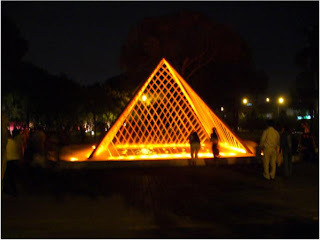 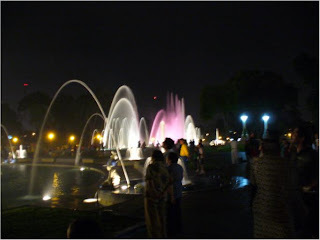 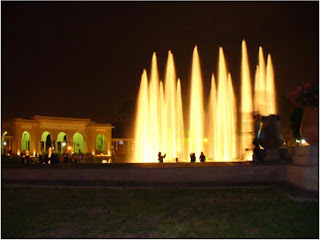 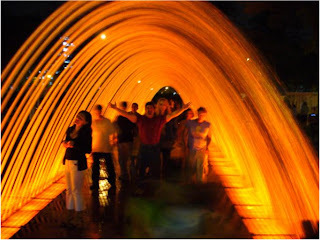 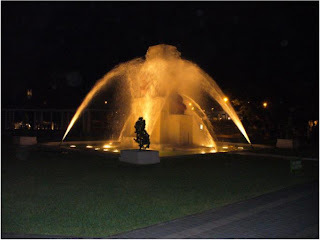 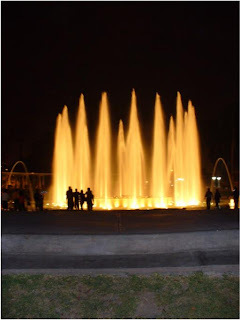 These pictures are of the Circuito Magico de Aguas (Magical Water Circuit) in Lima's Parque de la Reserva, near the National Stadium. 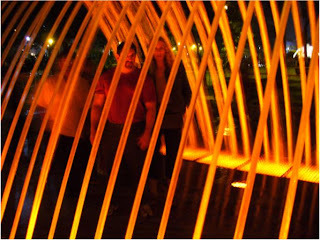 When we were there in August construction was still going on, but they finished it in time for the warm austral summer evenings. 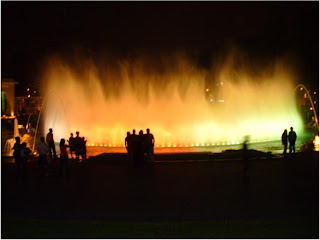 According to the brochure Liz brought back, the circuit consists of 13 fountains, the tallest which reaches 80 meters and has won distinction as the world's tallest public fountain. 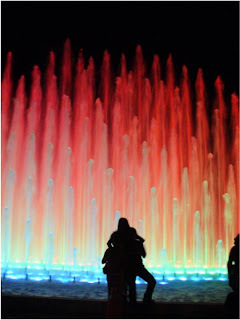 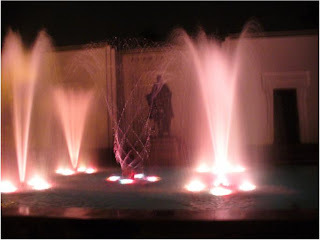 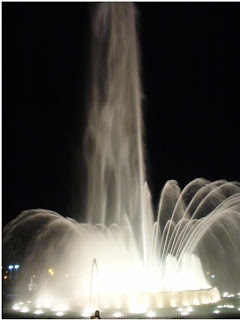 Liz says that the interplay of water and changing lights is breathtaking and truly magical, and a must-see for visitors to Lima.